When you’re responsible for ensuring the safe, reliable and affordable dispensing of Diesel Exhaust Fluid (DEF) for on-road, off-road, commercial and industrial heavy-duty trucks, farming or other diesel powered vehicles, you rely on the most trusted name in dispensing nozzles – OPW. As the global standard for more than a century, OPW nozzles are built to perform better and last longer* than any other brand to deliver unprecedented peace-of-mind, ROI, and performance. The NEW OPW 19DEF Series Industrial Automatic Nozzle is specifically designed for your commercial and industrial fleet operations, offering unmatched reliability with the features you want. 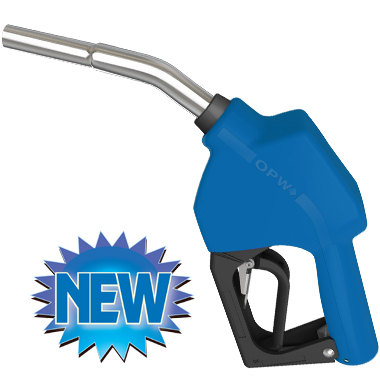 NOTE: The OPW 19DEF Series Nozzles are for commercial fleet applications only and are not UL Listed for gasoline dispensing facilities.